We welcome you to create your personal retreat (or group retreat) in the simple, concentrated, and nourishing atmosphere of our monastic Zen Practice Center. We are open for individual guests from May through early January. 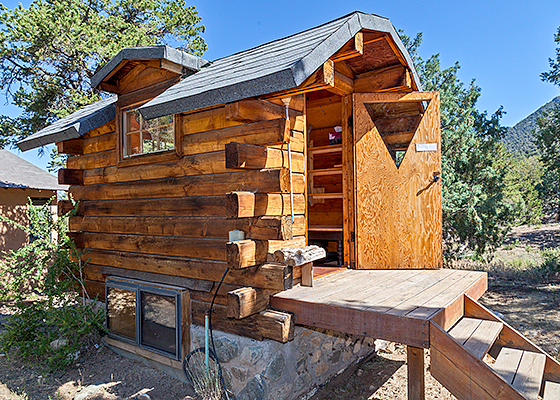 Use the image slider below to learn about possibilities for your personal retreat. 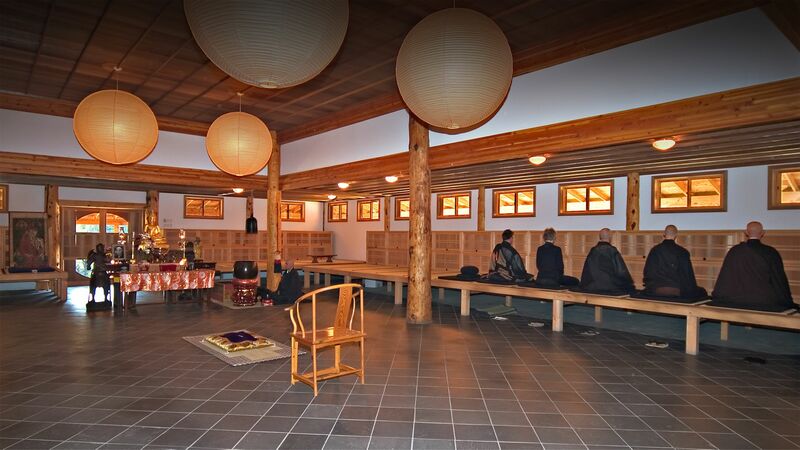 You will be welcomed and taken care of by an active community of monastic Zen practitioners. But don’t worry! While the Zen residents follow a rigorous practice schedule, as a guest, you may spend your time as you wish. Let us help you with creating your own personal retreat. Choose from day to day whether you want to join us for all or part of the meditation schedule. Ask for instructions on meditation and mindfulness practice. If you would like to create a silent retreat, please let us know. Upon request, we will prepare a tray for you, if you prefer to eat in your private quarters. You can also check out books from the library to take back to your room. We will also support your hiking adventures or trips in the valley with bag lunches. 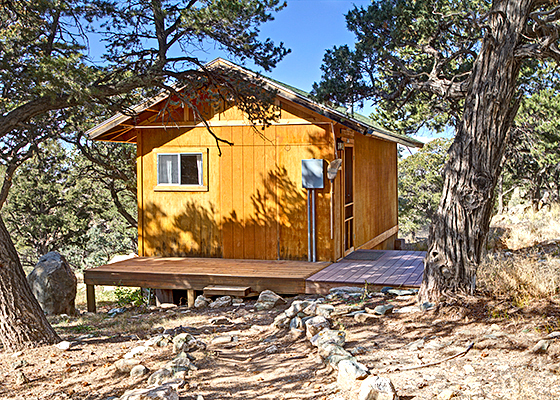 Whether for a spiritual retreat, undistracted time for work or writing, or just to be in nature, retreatants can rent private cabins or rooms and enjoy the beauty and quiet of our area, and the mindful atmosphere of our Center. 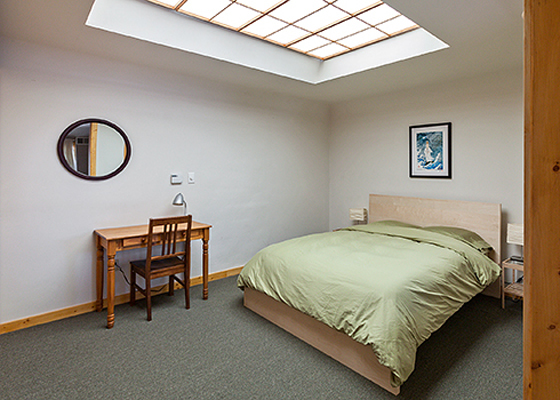 During your stay, you can get a taste for Zen practice without having to commit to the full monastic schedule. Join us for meditation. Let us know if you want to be in silence. Feel free to ask the resident teacher about meditation and mindfulness. "Dharma" means teaching. Every Wednesday evening, one of the resident teachers gives a public talk followed by discussion. You are welcome to attend and bring your questions about Zen, Buddhism, or your personal spiritual inquiry. 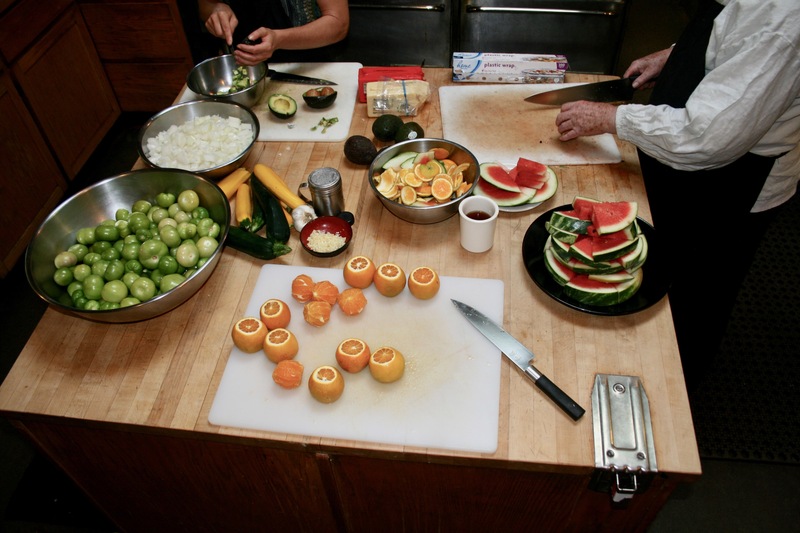 Our meals, prepared three times a day from fresh ingredients, express our commitment to care and nourishment. You may eat in our beautiful dining room, in your private quarters, or while enjoying the expansive views from our lawn. If you have a body practice like Yoga, Chi Kung or Tai Chi, our Dome is a perfect space for that. Originally conceived as an interfaith sanctuary, it is now open throughout the day for our retreatants to use for any personal practices our meditation hall cannot accommodate. The San Luis Valley is home to a number of hot springs spas. There is first-class hiking all around the center with trails starting right at the campus. And there is Great Sand Dunes National Park, home to the tallest sand dunes in North America. Our library is open to you throughout the day. Browse from 1300 books on Zen, Tibetan Buddhism, contemporary Buddhist teachings, Buddhist psychology, Asian culture, world religions and more. Get cozy on the living room couch or check out books to read in your private quarters. My yurt stay exceeded expectations. Super clean and quiet. The staff was so welcoming; very warm energy, and the food was amazing. 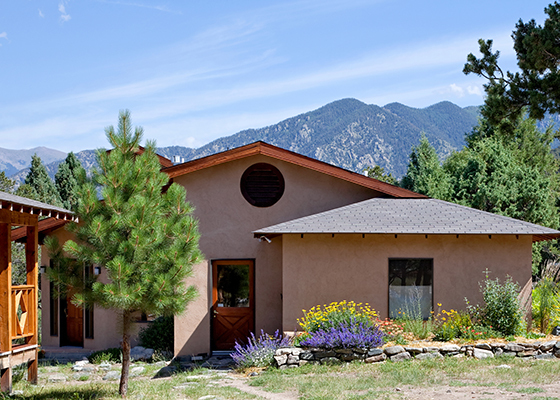 Crestone Mountain Zen Center offered a lovely retreat space. I hope to return again in the future. I returned to the Zen Center for the second time and it was every bit as amazing an experience as I remembered! The food, as so many have mentioned, is absolutely delicious. The staff were friendly and accommodating, and the Zendo is magical. 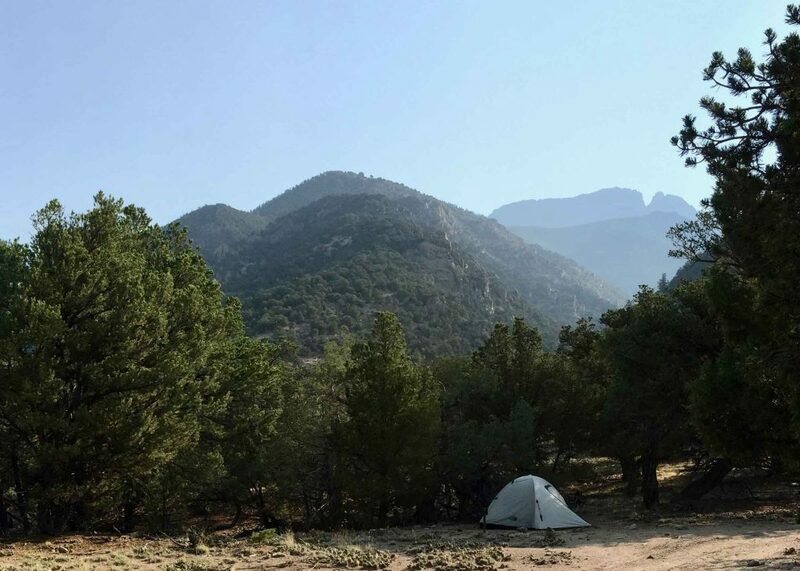 In short, you couldn’t find a more perfect spot for contemplation, meditation, or just hanging out in Crestone. Can’t wait to return! I loved my stay at CMZC! It’s a great place to go for quiet time. I went on a individual retreat and was able to connect back into myself and my rhythms. 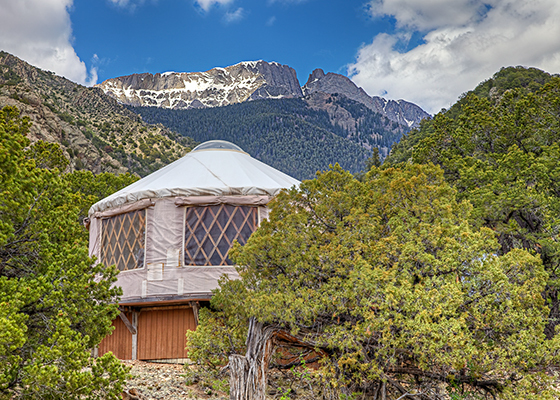 The dome on the property is great for meditation or yoga. Hiking trails all around and a beautiful creek. For day trips, hot springs and sand dunes are a short drive away. Not a Buddhist, per se, I came to the Crestone Mountain Zen Center for the Zazen sessions, hoping to improve my own practice of meditation. The sessions were perfect, formal and disciplined, but not too demanding, just right for novices. But I was even more impressed by the kindness and hospitality shown by everyone and by being so graciously waited upon and attended to. The food was great. The accommodations were comfortable and thoughtfully appointed. I would recommend CMZC just as a great resort, very tranquil and contemplative, and economical. Crestone is a magical place. I went there expecting to enjoy the natural beauty of the Colorado mountains and deepen my meditation practice while doing a little hiking to recover from a serious back injury. Crestone exceeded every one of my expectations. I highly recommend the Zen Center if you are looking for a either a deep spiritual experience or phenomenal physical workouts. Thanks for the ease of transfer from my busy life to the quiet simple existence the Center provides. I found the yurt to be just a perfect walk away to provide seclusion and renewal. The early morning meditation practice felt honest and inclusive. Thank you for creating a non-intimidating atmosphere for a beginner in world of retreats! 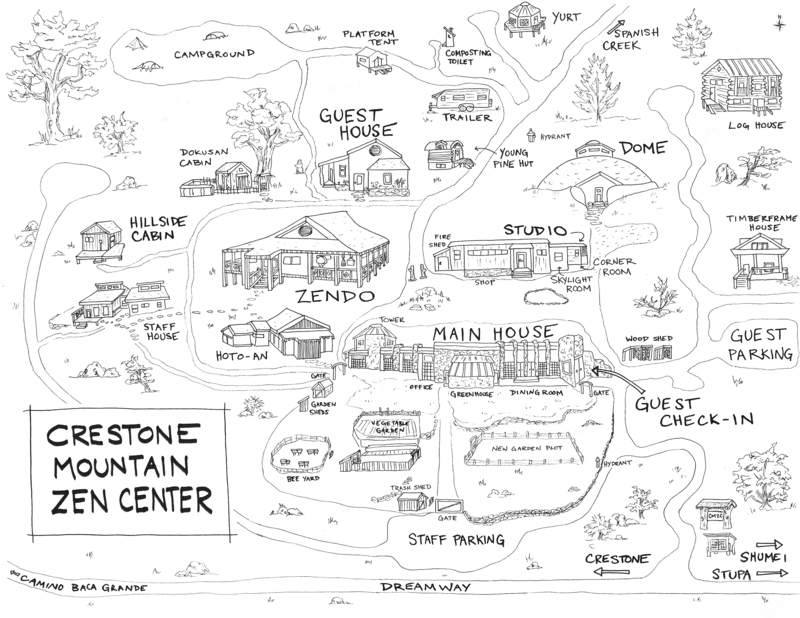 My recent retreat experience at the Crestone Mountain Zen Center was incredible. The warmth and hospitality of the staff were outstanding. The surroundings and the accommodations were wonderful. The food was superlative. 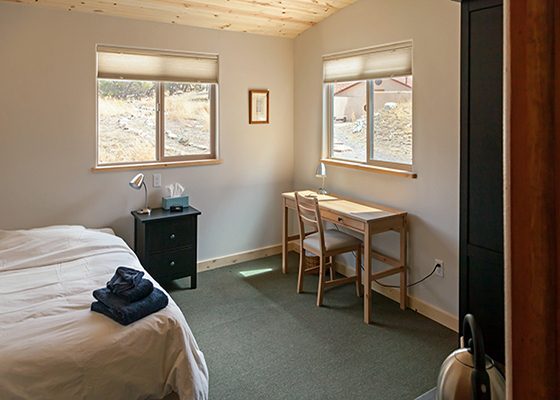 I would recommend the Center whole-heartedly to anyone looking to enhance their retreat experience or to enrich their stay in Crestone. Your grounds are beautiful and the food all week was absolutely amazing (we thought we would miss meat but we still haven’t had any). I’ll be back not just for the delicious and healthy food, but also for Spanish Creek and the hummingbirds who bathe there about 7 am in August. I want to look west again, too, and watch the sunlight as it filters through the air onto the Crestone valley floor, then settles behind the San Juan Mountains forty miles away. 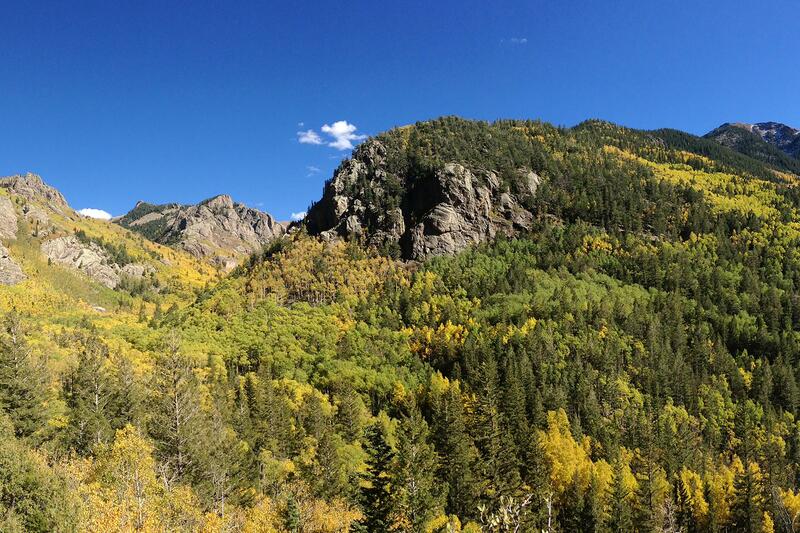 Crestone is spectacular and the retreat center’s campus no less so. The place is rightly known for being “foodie”… they have staff that trace back to Greens Restaurant, Chez Panisse, Deborah Madison. Whether you are planning a personal retreat in the wilderness, a silent meditation retreat, or a writer’s retreat, we offer a variety of accommodations. They vary in size, furnishings, amenities, and proximity to other buildings. All accommodations except the campground have high speed wireless internet. 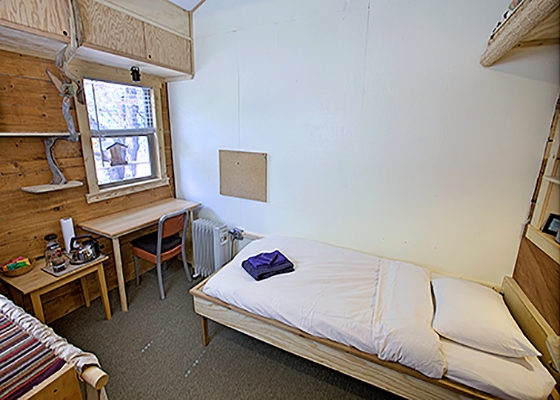 Campers have access to the internet in the Main House. Contribute to converting the entire campus from carbon fuels to renewable energy. We've already reduced energy consumption by 15%. Now we're working with engineers to formulate a fuel conversion plan for each of our 12 buildings. 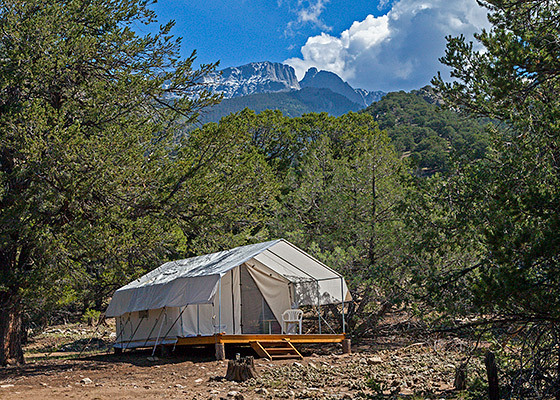 Crestone Retreats sends out newsletters and announcements. To receive notifications regarding our activities and upcoming events, please provide your contact information below. We do not share our e-mail addresses with any other organization.